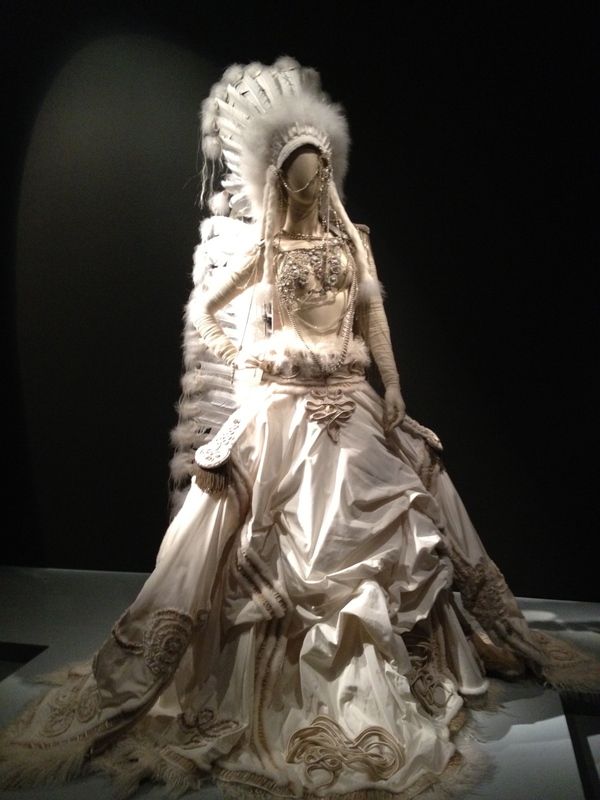 In San Francisco, we had the privilege of seeing the Jean Paul Gaultier retrospective at the De Young museum in the Spring of 2012. It was quite an amazing experience, not just because of the innovative display with the almost eerie mannequins chattering in unison, but because it gave civilians the chance to see the decades long accomplishments of one of fashion's true geniuses. These were two of my favorite pieces, sent to me by a friend who had an iPhone on hand. (I sadly did not). Old school Haute Couture. 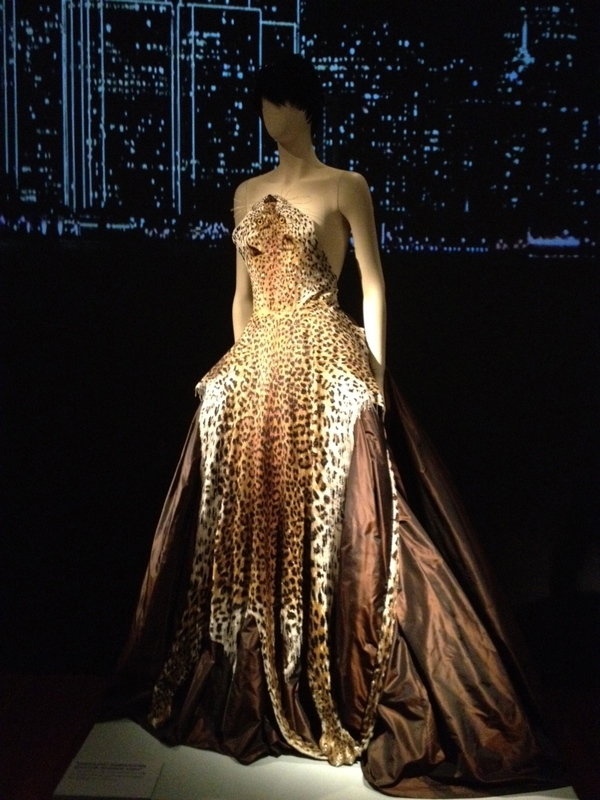 Quite astounding is that the Leopard detail on the gown is made of beads…….God almightly, if it doesn't look like REAL fur! it took ONE THOUSAND HOURS to assemble. These creations are a testament not only to the creative talents of the designer, but quite importantly, to the superb craftmanship of the seamstresses in the atelier. These pieces belong in the Louvre, in my opinion. High art.